Children who are deaf or hard of hearing need continuous access to all sounds of speech in order to develop listening and spoken language. This requires a true partnership between the parent, early interventionist and pediatric audiologist. The journey to listen and talk requires the commitment of the LSL team and the continual awareness of the child’s auditory access. Hear from one mom on the LSL journey as she recounts stories of her daily quest to help her son Ben hear critical sounds! Ben is 15 months today. We’ve spent countless hours singing, enjoying fingerplays and action rhymes together. Today Ben giggled, moved his hands and body and acted out the rhymes when he heard me singing, often before I began the actions. He is now joining in and singing some of the words. I can tell he is understanding and I am thrilled! This morning, I pondered what our LSL interventionist shared about critical sounds. The goal is for Ben’s hearing technology to provide access to all the speech sounds so that auditory information can get to his brain, which powers listening and language for literacy and his lifetime success. I now understand more. The reason Grandma couldn’t understand Ben is because he IS missing high frequencies. He has the beat but is missing most of the speech sounds in “Itsy Bitsy Spider.” The rhyme has many soft speech sounds he cannot hear, even with his hearing aids. Our LSL interventionist also shared that missing soft speech at about 35 dBHL means that Ben is not “overhearing” family and friends. 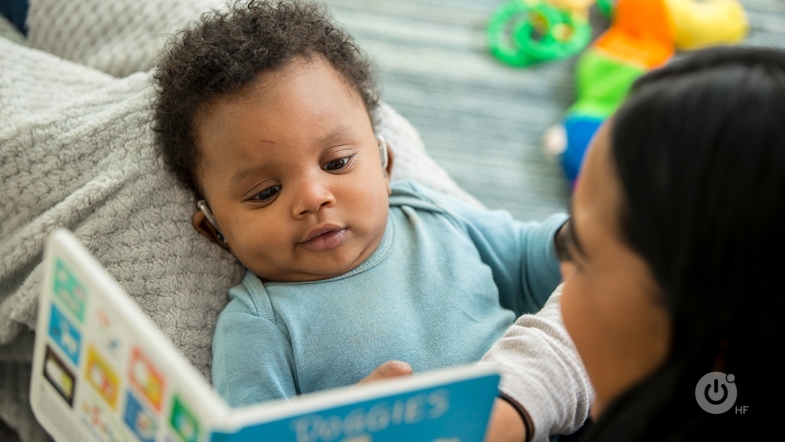 This limits his incidental learning and distance hearing when people aren’t directly talking to him, which has a negative impact on learning language and later, literacy skills. I had hoped that if Ben wore his hearing aids all waking hours, and if I talked, read stories and played with him more, he would meet speech and language milestones equal to his age. I am now realizing that if Ben’s brain isn’t getting full access to sound with hearing technology, he won’t reach the goals we have for him. I am on a quest for Ben to hear critical sounds. I am ready to learn more about the cochlear implant technology our audiologist is recommending. I want Ben to have access to all of the speech sounds. I am ready for the next step on this LSL journey. I can imagine the future with Ben singing and talking with clear speech and language that even Grandma can understand. Did you find this mom’s journal entry to be a reminder that you’re not alone on the quest for your child to hear critical sounds? Or, do you have a ‘critical sounds quest’ story of your own to share? Let us know in the comments! Blog post originally appeared on the Hearing First blog, One Mom’s Quest for Critical Sounds.